University of Oklahoma athletic director Joe Castilgione is the newest member of the College Football Playoff selection committee, according to ESPN. That’s a brilliant decision by the CFP — maybe its best yet. Heather Dinich, ESPN’s CFP insider, cited unnamed sources Tuesday night saying that Castiglione has been added to the selection committee for 2018. A message to Castiglione was not returned. With all due respect to outgoing member (and chairman) Kirby Hocutt as the Big 12 Conference’s representation of the committee, Castiglione’s addition brings a decidedly measured tone of fairness and intellect, a powerful voice and a distinguished presence that will elevate the status of the Big 12 Conference in the eyes of other members — whether they know it or not. 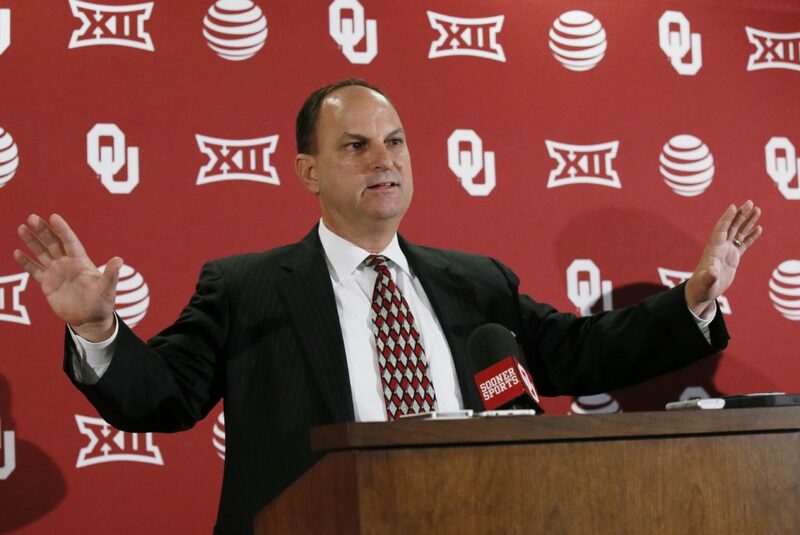 Adding Joe C. won’t mean more CFP appearances for OU, necessarily, because Castiglione will be recused from discussions that include the Sooners. But having such an accomplished statesman in the realm of college athletics in the room, whether defending the Big 12’s honor or preaching simple, common sense, is a wise decision. Castiglione previously served five years on the NCAA Tournament men’s basketball selection committee, including as chairman in 2015-16. The football committee, which was set in place for the 2014 football season, consists of 12 members and a chairman (currently Hocutt, the Texas Tech athletic director), as well as executive director Bill Hancock. Of the current body, six members’ terms expire in February 2018. Dinich reports that the new committee members are expected to be in place by February. Of the original 13 members, five — Mike Gould, Tom Osborne, Mike Tranghese (all 2015), Condoleeza Rice and Barry Alvarez (both 2016) already have cycled off. Lloyd Carr and Archie Manning were unable to complete their first term, and Pat Haden and Oliver Luck left the committee after just one season. The 2017 committee consisted of Hocutt, former Virginia Tech coach Frank Beamer, former Southern Mississippi coach Jeff Bower, former Central Michigan coach Herb Deromedi, Robert Morris University president Chris Howard, former NCAA executive Tom Jernstedt, former Vanderbilt coach Bobby Johnson, former Arkansas athletic director Jeff Long, Oregon athletic director Rob Mullens, Clemson athletic director Dan Radakovich, Ohio State athletic director Gene Smith, former USA Today college football writer Steve Weiberg, and former Notre Dame/Stanford/Washington coach Tyrone Willingham. New committee members serve one three-year term. The terms of Hocutt, Jernstedt, Long, Radakovich, Weiberg and Willingham expire next month. Hocutt and Long — Hocutt’s predecessor to Long as chairman — both worked for Castiglione at OU. Castiglione, a Fort Lauderdale, Florida, native and a 1979 University of Maryland graduate, was hired from the University of Missouri as OU’s athletic director on April 30, 1998. One of his first orders of business the following fall was to fire football coach John Blake, who went 12-22 in three seasons at OU. His subsequent hiring of Bob Stoops literally transformed the Norman campus. In just his second season, Stoops in 2000 won the Sooners’ seventh national championship. That immediate success led to a massive fundraising effort that, after 10 Big 12 Conference championships, continues to change the face of the university and the athletic department 18 years later. Castiglione is widely regarded as the best AD in major college athletics. In 2000, he was named the National Association of Collegiate Directors of Athletics’ Central Region AD of the year, and in 2001, he received the General Robert R. Neyland AD Award for lifetime achievement award from the All-American Football Foundation. He was inducted into the National Association of Collegiate Marketing Administrators Hall of Fame in 2003, and in 2004, the Bobby Dodd Foundation named him AD of the year. He also was named AD of the year in 2009 by Sports Business Journal (he was a finalist for that award again in 2016), and in 2012 he received the United States Sports Academy’s Carl Maddox Sports Management Award. 2013, the National Football Foundation and College Hall of Fame named him the John L. Toner Award recipient. In 2014, he received the Abe Lemons/Paul Hansen Award for Sports Excellence from Oklahoma City University. Just this month, Castiglione received the United States Basketball Writers Association’s Katha Quinn Award for exceptional service to the media.